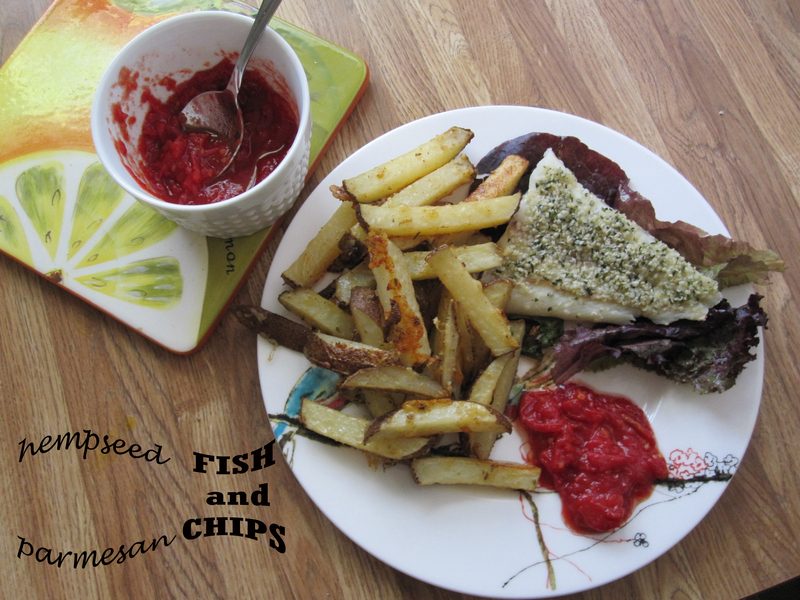 I needed something to go along with my Easy Healthy Homemade Ketchup and so I decided to make one of my favorites, fish and chips. However, these fish and chips are not fried and have only wholesome ingredients (oh yes, and it’s very easy. Almost TOO easy, if there were such a thing). You will see that I choose to use butter on the fish and coconut oil on the fries. This is my personal preference. You can substitute any oil/fat of your choice here. But before you do that, let me do a little plug for butter and coconut oil. Even though we have all been brainwashed very effectively by marketers looking to make a profit, butter is not the enemy (unless of course you have a milk allergy), vegetable oils are. Vegetable oils are not stable at high temperatures and when cooked higher than around 200 F, they become the dreaded TRANS FATS. This includes olive oil. Olive oil, when high quality, is fantastic for salads, but when cooking and baking opt to use an animal-based fat, like butter or ghee, or coconut oil. These are stable at higher temperatures and thus, will not turn into toxic filth in our bodies. Spread butter on top of cod fish loins (again, like you would butter a piece of toast). Shake salt on cod loins. Sprinkle hemp seeds on top of buttered, salted cod fish loins. Bake on 400 F for about 10-12 minutes. Grease cookie sheet with coconut oil. Cut potatoes into fry-like wedges or if you are like me, use one of these. Put around 2 tablesoons of coconut oil in a gallon-size bag and add the remaining ingredients (including the potatoes) into the bag. Shake the bag like a Polaroid picture. Empty bag contents onto cookie sheet. Bake on 375 F for around 45 minutes or until Parmesan is golden and fries are fork tender. Shake a little more salt on top of fries to taste. Don’t forget to enjoy fries with homemade ketchup! Categories: Recipes | Tags: coconut oil, cod loins, Fish and chips, hemp seed fish, hemp seeds, homemade ketchup, Parmesan fries | Permalink.